The Australian Competition and Consumer Commission (ACCC) is looking to reauthorise an agreement allowing a network of ATM providers to not charge each other’s cardholders a fee for transactions. The watchdog has proposed letting the agreement between members of the FeeSmart ATM sub-network to stand once more. 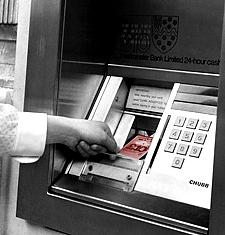 Reforms to Australia’s ATM system in2009 meant that customers can be charged directly by ATM operators for withdrawals, but most banks do not charge their own cardholders for withdrawals. The reforms also enabled sub-networks to operate where financial institutions could charge each other for their cardholders' transactions, rather than charging the cardholder directly. This provides cardholders of smaller financial institutions with access to direct fee free transactions at a wider range of ATMs. "The proposed arrangements assist in addressing the competitive disadvantage that FeeSmart members might otherwise face in providing ATM services to cardholders compared to the big banks," said ACCC Deputy Chair, Dr Michael Schaper. The current FeeSmart members are Cashcard, Qantas Credit Union, Southern Cross Credit Union, Macquarie Securitisation, Bank of China and Gateway Credit Union. FeeSmart members currently offer cardholders a network of over 4,100 ATMs. The ACCC is now seeking submissions on the draft determination.